FLAVA's Fall 2019 Conference will be held October 3 - 5, 2019 in Williamsburg, VA at the DoubleTree by Hilton Hotel & Conference Center. FLAVA provides the perfect setting for exhibitors to share their newest products and services with booths, presentation sessions, and at a variety of conference events and activities. 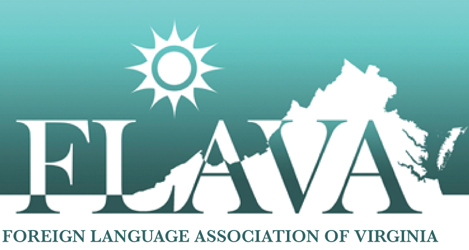 In Virginia FLAVA represents all world language educators and their affiliate organizations. Join us in this unique opportunity to reach them all. The FLAVA Fall Conference will be held at the DoubleTree by Hilton Williamsburg at 50 Kingsmill Road, Williamsburg, VA 23185 on October 3-5, 2019. The hotel rate for the FLAVA conference is $101 per diem and is good from October 2nd - 6th. Should the government per diem rate increase, this amount will adjust to reflect said change. Guests may call 800.222.8733 or (757) 221-0700 and reference the FLAVA (FLV) Conference Room Block to make their reservations at the group rate. Reservations must be made prior to September 10, 2019 in order to receive these rates. When booking for two or more people, please make sure that only one person books the room(s) to avoid later cancellations and overbooking. Please fill out the form below to register as an exhibitor for the conference. You may pay online via credit card or offline via check. Please enter your contact information, or the contact information of the person the registration's name should be under. If you would like a different name than the one entered above to appear on your conference badge, please enter it here. The primary registrant's email address will receive all confirmations and communications regarding their company's registration. Please select the lunch preference of the primary registrant (you or the person you are registering on behalf of). Lunch is included on Friday for up to 2 exhibitor representatives at the Bronze level and up to 4 representatives at the Platinum and Diamond Levels. Please enter the address and website information the registering company. Please provide a short description of what the company does (e.g. products or services it offers, target audience, etc). All exhibitor level packages include the company's logo to be displayed on our main FLAVA Fall 2019 Conference website. Please upload your company's logo below. Accepted file types: gif, jpg, jpeg, png, svg, pdf, psd, ai, ind, indd, eps, tiff. Pursuant to the Americans with Disabilities Act, do you or any additional representatives require specific aids or services? Please select all that apply. If you selected "Other" above, please enter your accessibility needs below. *Any additional representatives must register as conference attendees. Bronze registrants may also add a presentation to their package for $200.00 below. *Platinum-level Exhibitors that choose to present session are required to fill out the FLAVA Conference Call for Proposals form. The deadline for Exhibitor proposals is August 15, 2019. **Any additional representatives must register as conference attendees. Diamond-level Exhibitors that choose to present one (1) or two (2) sessions are required to fill out the FLAVA Conference Call for Proposals form. The deadline for Exhibitor proposals is August 15, 2019. Non-Profit and Embassy-level Exhibitors that choose to present a session are required to fill out the FLAVA Conference Call for Proposals form. The deadline for Exhibitor proposals is August 15, 2019. If you would like to add a presentation to your Bronze registration, please select "Add Presentation" below. Bronze-level Exhibitors that choose to present session are required to fill out the FLAVA Conference Call for Proposals form. The deadline for Exhibitor proposals is August 15, 2019. Please select your top three preferences for booth location below, selecting a different booth for your first, second, and third preference. FLAVA will do its best to meet your preference, but cannot guarantee that you will receive your top choice(s). A map of the Exhibitor Hall layout is available below (opens in a new tab). Locations marked with a red "X" have already been assigned and are not selectable. If you would like to add an extra table to your exhibitor booth, you may do so for $100.00. Use this section to enter the name of the additional conference representatives from your company that are included with your registration. Bronze (Br) Exhibitors may add one (1) additional representative. Platinum (Pt) and Diamond (Dm) Exhibitors may add up to four (4) additional representatives. The total cost of your registration is displayed below. Please select your method of payment. If you pay by credit card, your card will be charged for this amount. Please select which method you would like to pay for your registration with. Please enter your credit card information below. FLAVA does not store any sensitive information on its server, and uses HTTPS to securely send your card info to the payment processor. Checks should be made payable to FLAVA or Foreign Language Association of Virginia. The cost of your registration is indicated above. Upon completion of this form, you will receive a registration confirmation number; please include this confirmation number on the memo line of your check. Questions about payment should be directed to treasurer@flavaweb.org. Money orders should be made payable to FLAVA or Foreign Language Association of Virginia. The cost of your registration is indicated above. Upon completion of this form, you will receive a registration confirmation number; please include this confirmation number on the memo line of your money order. By clicking submit, you are agreeing to the conditions of this contract. You will receive a confirmation email with a confirmation number; please keep this for your records.